Kalamazoo Industries S8HD 8 x 60 inch horizontal belt sander that’s designed for quick heavy duty clean up work on various ferrous and non-ferrous materials. 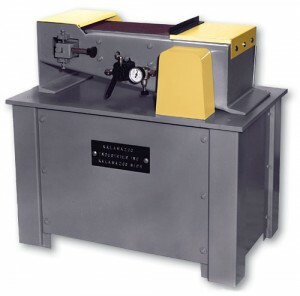 Features air belt tension (air requirements 40 to 50 PSI), 7.5HP motor, easy belt tracking, reversible platen, simple part replacement and 28″ x 10″ work surface. 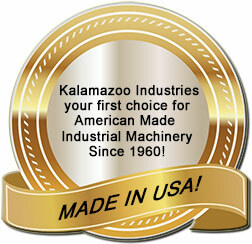 Kalamazoo Industries S8HD 8 x 60 inch horizontal belt sanderproduct has applications in the following industries: Energy, Oil/Natural Gas, Petro/Chemical, Knife Manufacturing, Automotive, Metal Foundries, as well as many other Manufacturing and Fabrication environments.